Belavia Belarusian Airlines is Republic of Belarus national airline carrier. Being established in March 5, 1996 with main hub at Minsk International Airport, Belavia operates a network of scheduled flight routes between European cities and the CIS. The government owned airline with more than 1000 employees signed a leasing agreement for the use its first Boeing 737-500 aircraft in 2003. 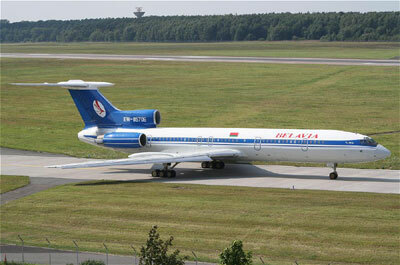 Belavia Flights To Airports Worldwide.